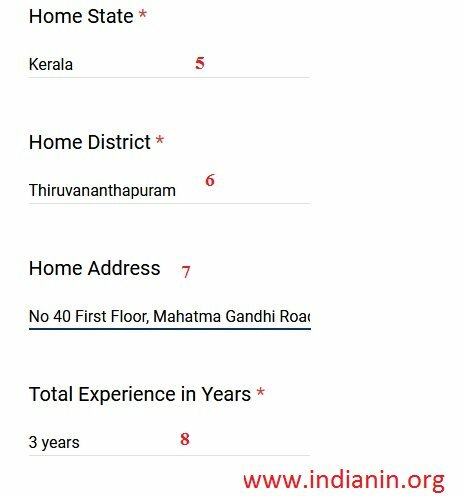 Candidates selected are liable to be posted in anywhere in India. This process will take place in different specified places,which all be intimated later. ** Applicants must have a Graduation or Post Graduation in any discipline from a recognized University and a minimum of eight years of experience in banking as Branch Head. ** Applicants must have a Graduation or Post Graduation in any discipline from a recognized University and a minimum of five years of experience in banking as Assistant Branch Head. ** Graduation or Post Graduation in any discipline from a recognized University and three years of experience in sales is preferred. Candidates must possess a flair for sales and marketing. 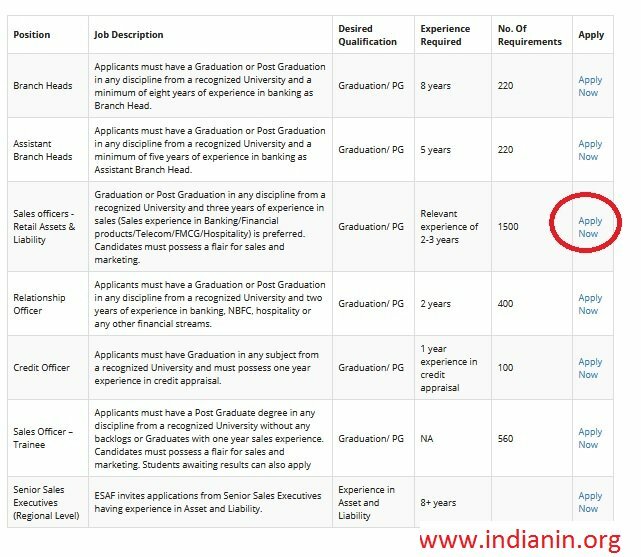 ** Applicants must have a Graduation or Post Graduation in any discipline from a recognized University and two years of experience in banking, NBFC, hospitality or any other financial streams. ** Applicants must have Graduation in any subject from a recognized University and must possess one year experience in credit appraisal. ** ESAF invites applications from Senior Sales Executives having experience in Asset and Liability. 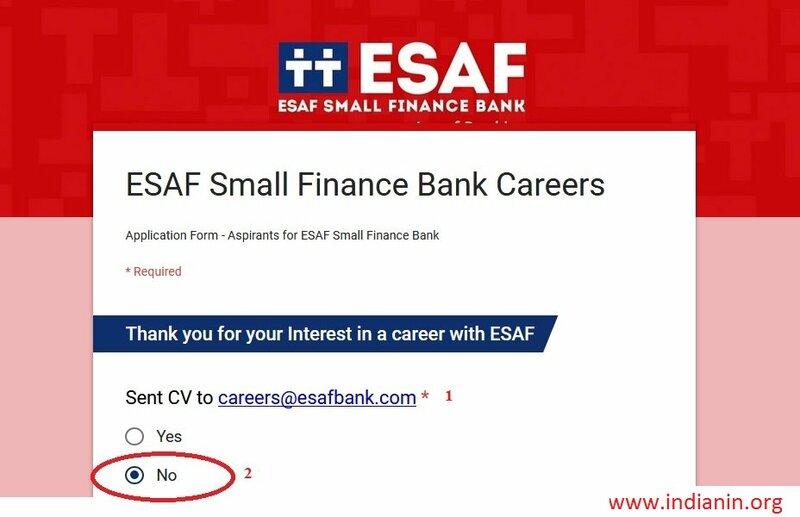 Interested and eligible candidates can submit their application through online mode from the online application link available at the official website of ESAF Bank. Careers page will be opened. 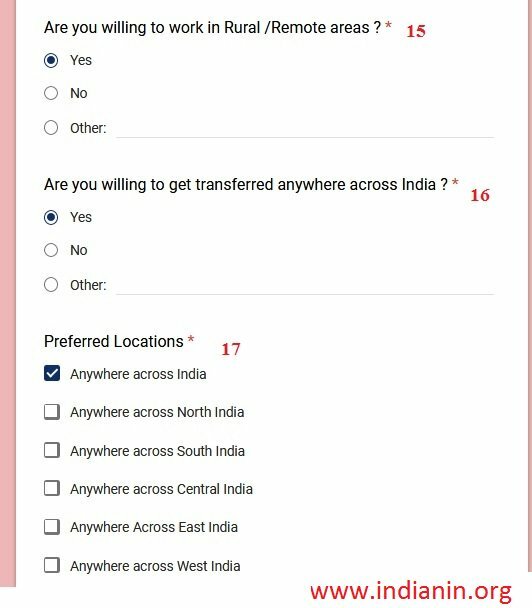 click on “Current Opening” option in the drop down list. 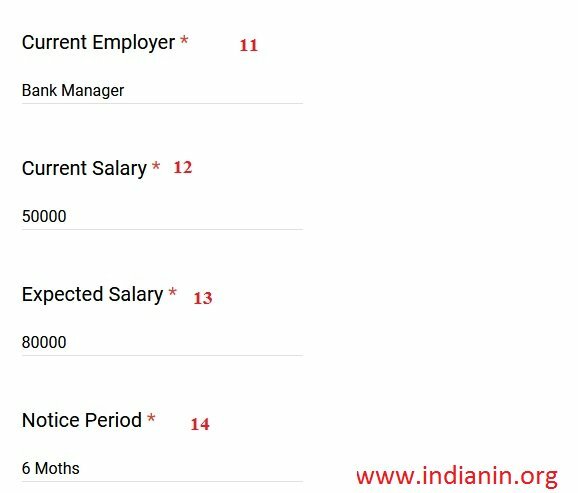 Current Openings Page will be displayed on the screen Which post you want to apply click on that particular Link in “Apply Now” button. Application Form Will be opened. 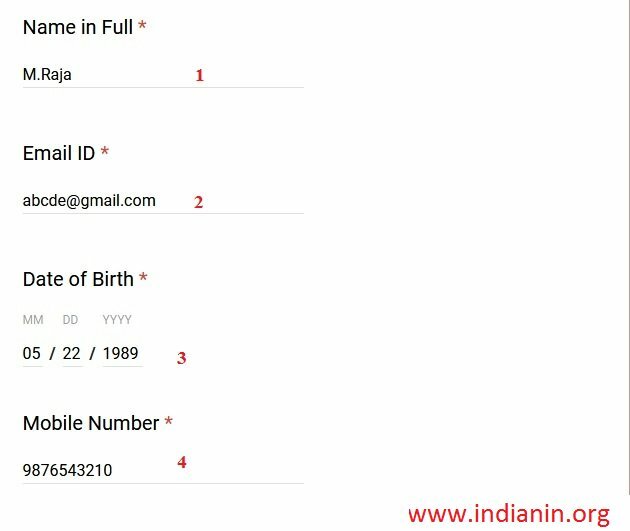 Fill all the required details and send CV to given Email Address. 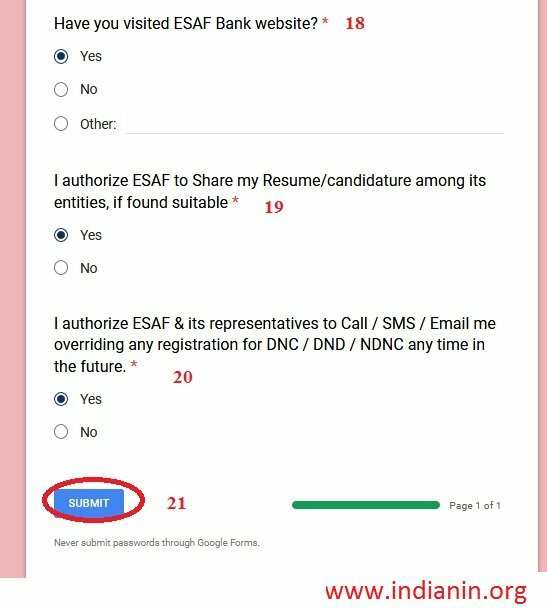 Step 21 : Click Submit button. Salary will be befitting the qualifications,experience and performance and will not be a constraint for right candidates. Visit the official website and furnish the required details exactly. 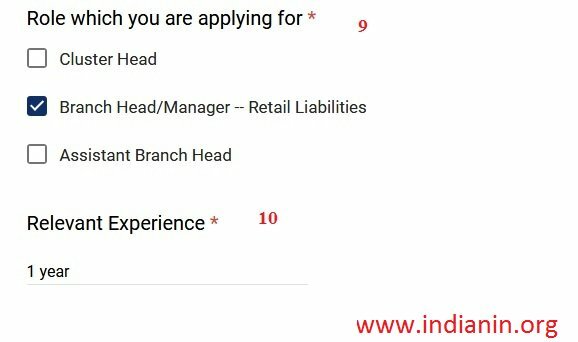 The last date for application will be 21st may 2018. Candidate with adequate qualification and experience will be shortlisted by the scrutiny of the application form. The shortlisted candidates will be intimated about the next phases of interview process via e-mail. The candidates are advised to carry the required documents. The Test will consist the following fields.